An elegant solution for solar shading and sound reduction. 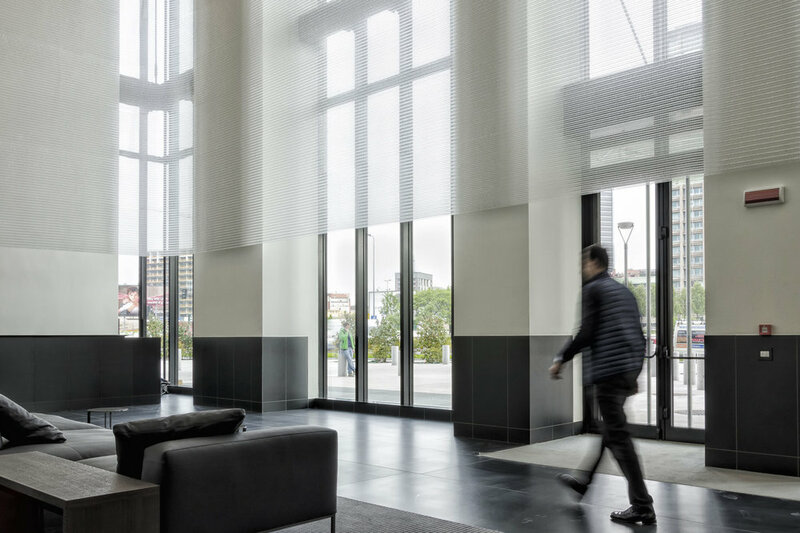 This translucent Water Clear Kaynemaile hanging screen floats within the reception of the prestigious Torre Solaria apartment building in Milan, Italy. Installed as one large seamless piece the screen gives an ethereal atmosphere to the spacious foyer. 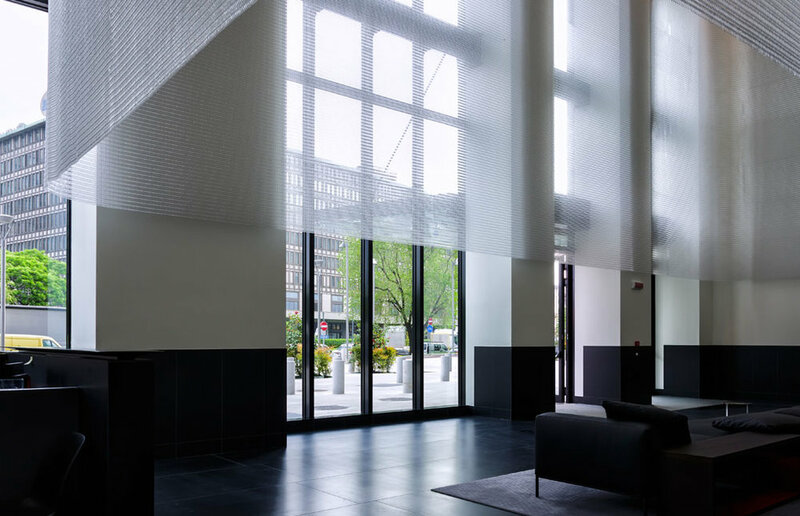 An elegant solution for solar shading and sound reduction in a large space. Kaynemaile hanging screens are a simple ceiling-hung solution. Use them to divide interior spaces, create visual privacy and as decorative backdrops.